Physicians are encouraged to counsel their patients about the health consequences of consuming sugar-sweetened beverages. 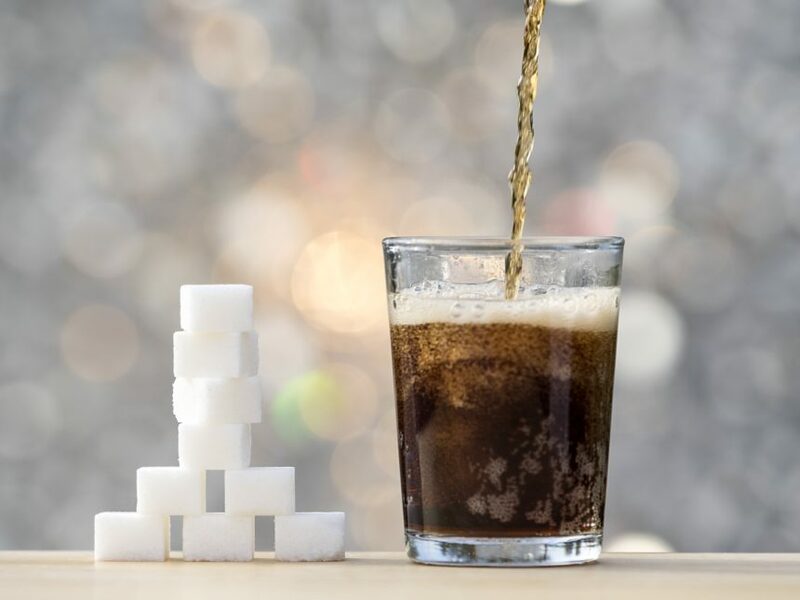 HealthDay News — At the annual meeting of the American Medical Association (AMA), a policy was adopted to reduce the consumption of sugar-sweetened beverages (SSBs) as a way to reduce the amount of sugar that Americans consume. The new policy supports evidence-based strategies, including excise taxes on SSBs, removing options to purchase SSBs in primary and secondary schools, use of warning labels to inform consumers about the potential health consequences of consumption, and plain packaging. In addition, research is urged into other strategies to limit SSB consumption, such as controlling portion sizes; limiting SSB availability in early childcare settings, workplaces, and public venues; and restrictions on marketing to children. Furthermore, hospitals and medical facilities are encouraged to offer healthier beverages for purchase, such as water, unflavored milk, coffee, and unsweetened tea. Facilities should make calorie counts available next to the price of beverages sold in vending machines. Physicians are encouraged to counsel their patients about the health consequences of SSB consumption and importance of replacing SSBs with healthier beverages. “Excessive sugar consumption has been linked to some of the nation’s most debilitating diseases, and limiting the consumption of sugar-sweetened beverages will go a long way toward helping people prevent the onset of these diseases, improve health outcomes, and rein in health costs associated with chronic diseases,” AMA board member William E. Kobler, M.D., said in a statement.